States set a legal limit on the interest that can be charged on a debt. These are called "usury laws." But the rates vary and feature many exceptions. If you're entering into a loan contract, there should be language in the document that sets out the annual percentage rate you'll be paying. Check carefully -- it may be in the small print. Before signing up for a loan or other type of credit, check that the offered interest rate is legal in the state where you live. Not all states have usury laws or interest rate limits, and your own state's law may not apply to your credit agreement. By a federal law passed in 2009 known as the Credit Card Accountability, Responsibility, and Disclosure Act, a company may charge the maximum rate of interest allowed in the state where it is incorporated. That means an out-of-state or foreign creditor may legally charge more than your state's limit. This would exempt a credit card company or a out-of-state bank; federally chartered credit unions, however, are limited to 18 percent interest no matter where they do business. State usury laws are full of exceptions, loopholes and conditions. In Alabama, for example, the maximum interest on debt is 8 percent, but only on a principle balance over $2,000. In Georgia, the limit is 16 percent on loans of less than $3,000 and 5 percent a month on loans between $3,000 and $250,000. Hawaii, Idaho and Illinois only set limits on personal loans (in the amount of 10, 12, and 9 percent respectively). Maine, Nevada, New Hampshire, South Carolina and Utah set no limits on interest. Usury laws often set a variable limit based on a benchmark rate. In Arkansas, the limit on interest is 5 percent higher than the Federal Reserve discount rate -- which was .75 percent as of October 2013. South Dakota, a credit-card hotbed, allows 18 percent interest, and there is no effective limit on the fees lenders can charge for late payments, overdrafts and over-limit charges. Can a Credit Card Still Charge Interest on Debt Sold to a Collection Agency? 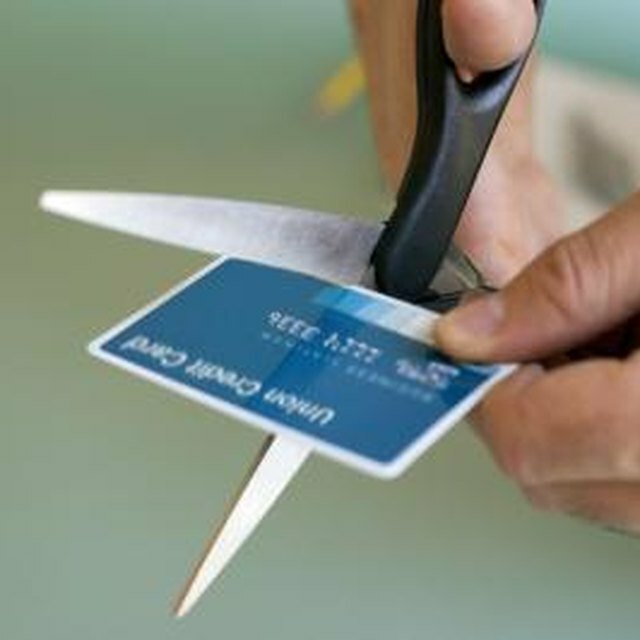 What Is Statute of Limitations for Ohio Credit Card Debt? Which States Allow Title Loans? Is it Legal to Make a Surcharge on a Debit Card? If you have a credit agreement, federal law requires the lender to give 45-day notice of any interest-rate hikes, or changes in their fees. The lender must also allow you to cancel your agreement before accepting the changes; if you do so, they may increase the minimum payment you have to send in every month. Many states do not count "time payment" or revolving accounts as subject to the usury laws, which is why your credit card interest may be higher than the usury limit, even if you're doing business with a local company. In addition, the states have allowed "third-party" accounts (such as a bank card set up within the Visa system) to be exempted from usury laws.